Sunny Momville: Yes or No to Trick-or-Treat? Yes or No to Trick-or-Treat? It's that time of year when a lot of parents are faced with the oddly serious dilemma of choosing a costume for their little ones, when candy sales are probably at its peak and when hanging a headless man in your front gate doesn't look all that scary. When I was young, Halloween and trick-or-treating is not even heard of. November 1 or All Soul's Day is simply a time when we as a family would go to the cemetery and remember our departed love ones. While it has been a common practice in countries like the US since the 1930's, it has only been made popular in the Philippines in the early 2000 and only practiced in the urban areas of Metro Manila. Personally, I don't like the ghoulish aspect of Halloween. Mounting a mock up coffin and an image of kamatayan, ghost or zombie in your front lawn is just pointless. I mean...what for? To make your place look creepy? Intentionally scare away kids? To be in the spirit of Halloween? Such things can stir up fear, questions and misconceptions in the young minds of our children. While evil spirits and the works of Satan are real. They are not to be taken lightly, much so "celebrated." The world has already garbled a lot of things all in the name of commercialism. And it is our job as parents to teach our children what is right and what is wrong, what is real and unreal, what is true and what is false. When it comes to trick-or-treat, admittedly, that's something I fell for as a new parent. When I was a kid, I didn't really understand why we had to go to the cemetery, but my parents made us all go. I missed the experience of dressing up in costumes and walking from house-to-house for candies and goodies. These are the things that appealed to me about trick-or-treat. After all, this is the only time of the year that kids can get to dress up like their favorite character. 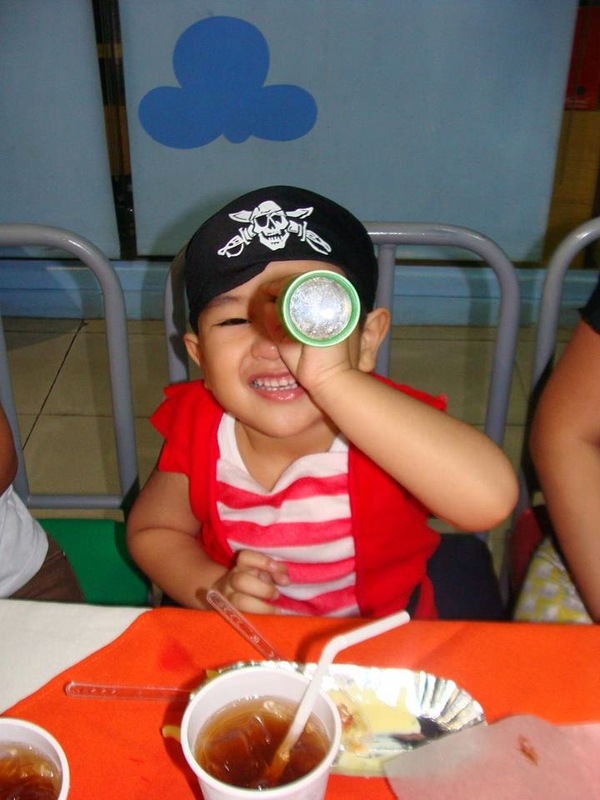 Last year, Caleb dressed up like a soldier and this year, he gets to be a pirate as inspired by Disney's Jake and the Neverland Pirates. Dressing up our child in a ghastly or frightening costume is something that we will never even consider. There's much about Halloween that gets over sensationalized. It is your choice whether you will let your kids go trick-or-treating or not. You don't have to be pressured just because everyone is doing it. As for me, I will just let my kid be a kid and let him enjoy the simple joys of trick-or-treat. Someday, he will be embarrassed to be in a costume and take candy loots and goodies from neighbors. He will also have more serious questions about death and the reality of evil. When that day comes, me and his dad will be prepared to give him straight answers. But in the meantime, we'll let him go on a sugar overload, dance in parties with other kids, laugh, have a good time and savor the moment of just being a kid. I agree that the whole halloween thing is a big marketing stunt, especially by the malls. Oh, the prices of those costumes! I like the fun part of it though, like getting all dressed up. We don't do the scary decors. True, I don't experience trick or treat when I was a kid. Same nga tayo ng pirate costume. :) I only attend school or office trick or treat. Here in our subdivision, hindi na at nakakapagod sa dami trick or treat. This year, we don't have plan to attend na because honestly my son doesn't eat those candies or goodies that he got unless it is chocolate. Trick or Treat wasn't a thing with our family either. I also don't see the point in the ghoulish decors or costumes. Too me, Halloween is simply a time of the year to dress up my kid in an awesome costume. I don't even bother with candies. We just like to see him have fun. I think having grown up with Halloween as an official holiday gives me a different perspective. I look forward to the holiday and love to participate in trick or treating events with my kids. We choose the events we attend though and there's never any pressure to win a contest only to just have fun. When it comes to the candy we usually throw it out and replace with candy we can let them have. 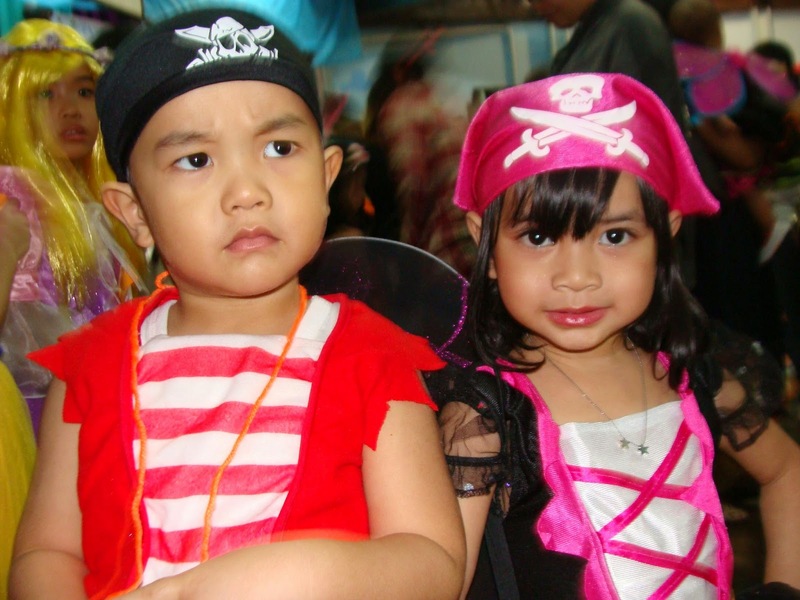 It's more of the fun and adventure they experience dressing up and being with other kids that we're after. When I was kid we don't experience trick or treat or even wearing a scary costumes :-) every november 1 we are used to go to our province and visited our departed ones. Usually Ayala Alabang ang nag celebrate nito. Now I have a kid and uso na ang trick or treat I make it sure that every year we have to attend one or two para ma experience ng baby ko. I am now excited with Halloween because of the Trick or Treat. Companies, malls, groups - they all have those. And I want my baby to experience dressing up. No trick or treat when I was young. I like the excitement of getting dressed up for costumes and how I wish my son likes it too. Cute costume of your son! I never experienced Trick or Treat as well when I was a child but nowadays there's Trick or Treat even in regular neighborhood like ours. I don't know if we're going Trick or Treating at the mall this year, though.